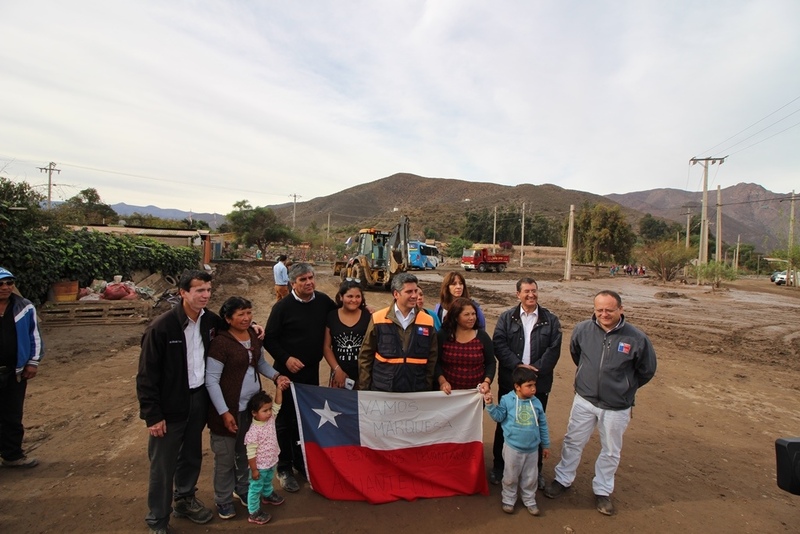 Fifteen municipalities in Chile's Coquimbo region (IV) were declared disaster areas following heavy rains that hit the zone last weekend, governor Claudio Ibáñez announced. The government had previously declared Chañaral province, in neighboring Atacama region (III), a disaster area after rains caused mudslides and left thousands of users without water services. The latest measure covers the 15 municipalities of Coquimbo's Limarí province, where roads were cut off and other structural damage was reported. In Vicuña municipality alone, 180 houses have suffered damage, along with a local school. The decree will speed up aid for the affected areas and will last 90 days. It is estimated that the city of Coquimbo regional capital La Serena received over 100mm of rain in two days, when the yearly average for the area is only 78mm.